For example, many people seem to forget that when you’re trying to get pregnant with one baby, sometimes you can end up with a surprise second baby that you didn’t plan for. Now, as you’re trying to get pregnant, the thought of having twins can cause even the most enthusiastic of moms to panic. However, for one recent mom-to-be, her fears very quickly quadrupled when her doctor informed her that she and her husband had not only conceived one healthy baby… but four of them. 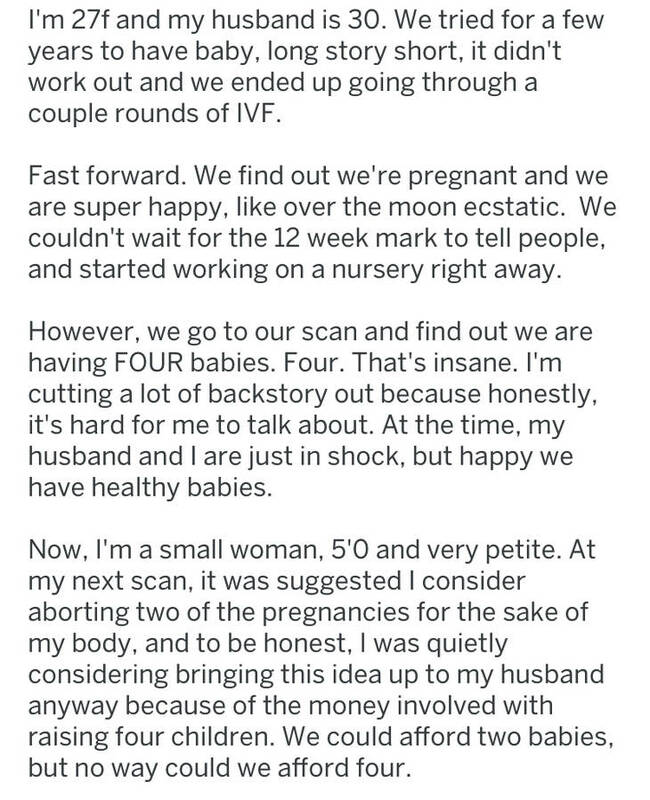 Understandably scared out of her mind, like the best of us would be, this mom-to-be is not only freaking out over giving birth to four babies AT ONCE, but also having to pay for four babies at once… because I’m not sure if you know this, but babies can be hella expensive. 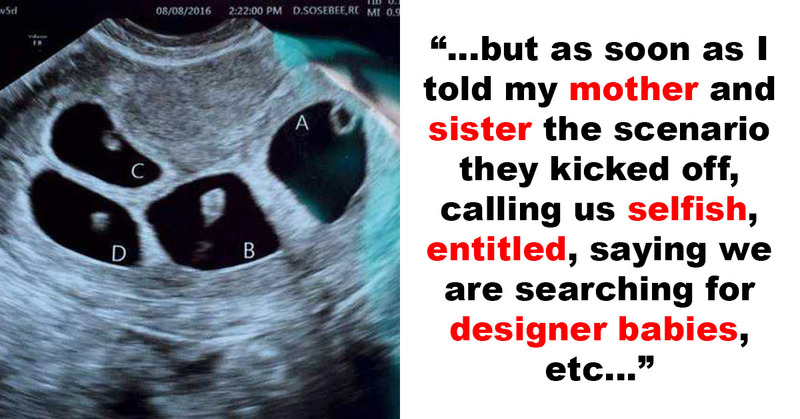 And so, now, the new mom-to-be is asking if she would be wrong for wanting to… selectively abort one set of twins based on gender and then keep the other set. 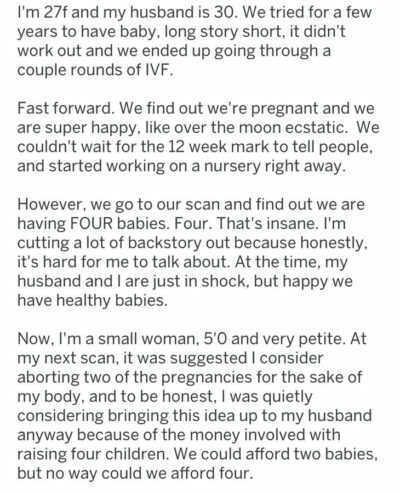 After failing to get pregnant for many years and then going through “a couple rounds of IVF,” the mom then took to Reddit to share that she and her husband had finally gotten some good news. I mean, let’s be honest, four babies would be A LOT for any mom to handle, and this poster said that she’s actually just as scared about the toll the babies could take, both physically and financially.